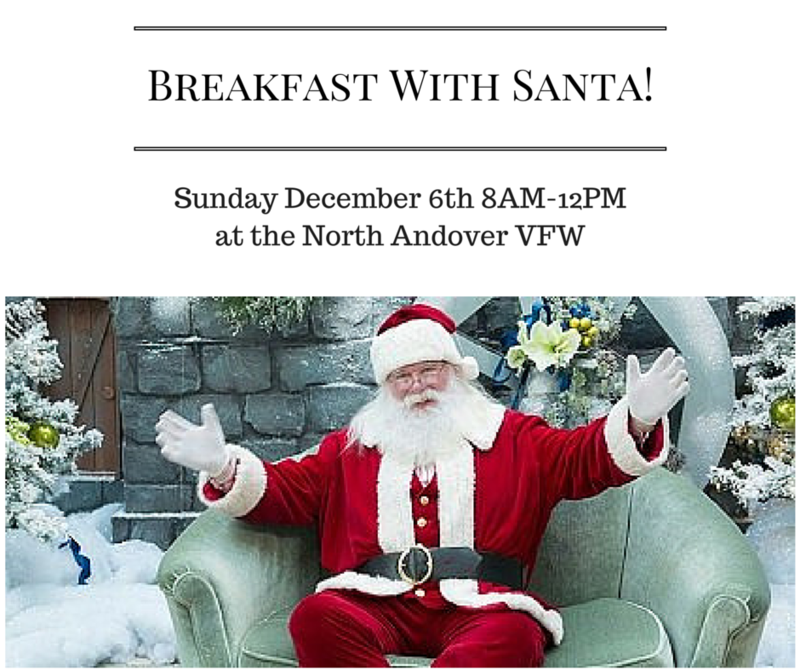 Enjoy a festive Breakfast with Santa this Sunday December 6, 2015 at 8:00am – 12:00pm! Pancakes, Sausages, Fruit Salad, Milk, Juice, and Coffee will be served. 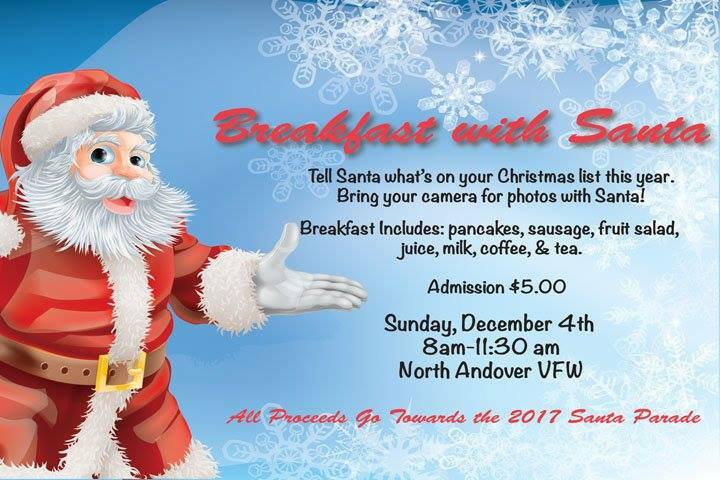 Bring your camera and take a photo with Santa and enjoy a nice hot breakfast! 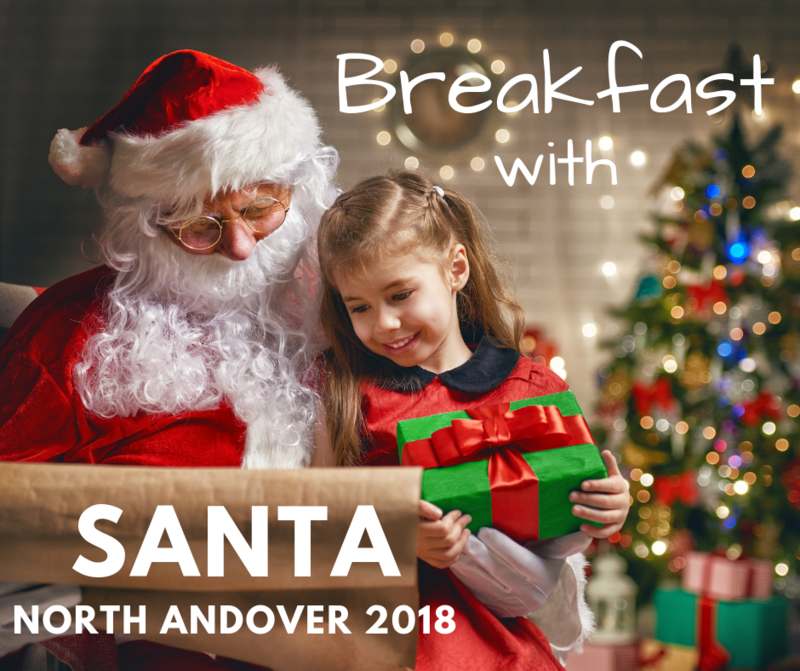 All proceeds benefit the North Andover Santa Parade.